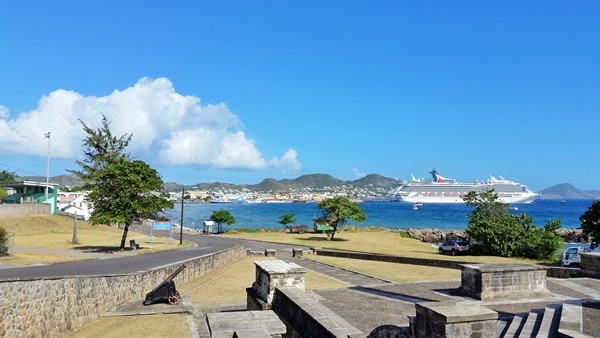 If you have a cruise to St. Kitts, here are some pictures you may want to take near the cruise port! 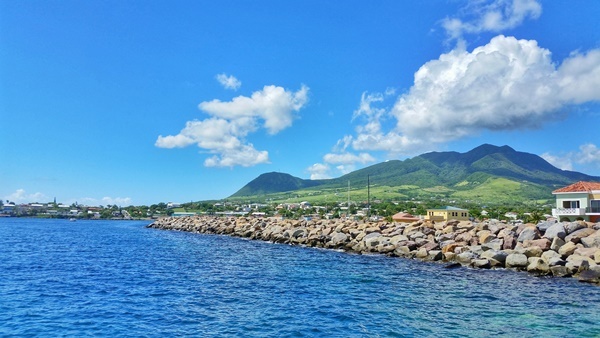 St. Kitts is one of those Caribbean islands that you can see the hills immediately upon sailing into the cruise port. This makes for an amazing backdrop for your pictures! This means that you’ll want to make sure to walk around the open deck of the cruise ship once you do get to St. Kitts. Try to do so before you leave for your St. Kitts excursion in the morning, and then once again when you get back from your tour in the afternoon. The angle of the sun can make a difference in how your pictures turn out. 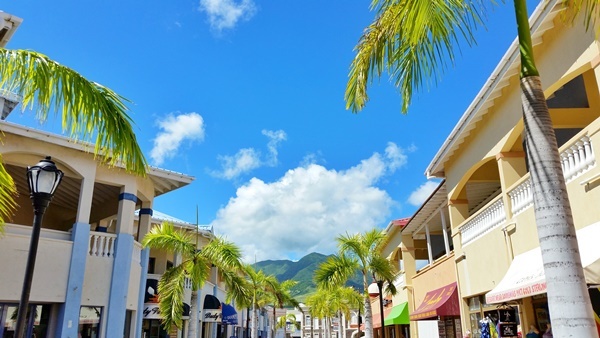 For your St. Kitts excursion, here are ideas with some of the best activities in St. Kitts. Make sure to get plenty of pictures from the cruise ship of the beauty of St. Kitts all around you, with and without the cruise ship! Port Zante is where your starting point is for your cruise to St. Kitts, and you’ll see the iconic structure of the Port Zante entry that you can get from different angles. That includes when you’re on the cruise ship, and when you get off for your St. Kitts excursion! 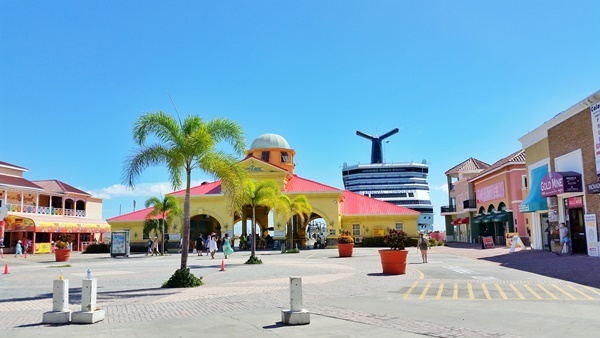 Here is another iconic shot right near the cruise port as you’re walking past places you can go shopping in St. Kitts. Now, this isn’t one of those “must-do” things in St. Kitts, but! 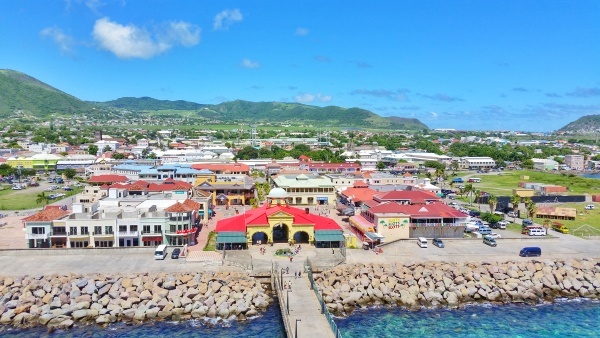 If you have an hour or two to spare after you get back from your main St. Kitts excursion or tour, you may consider heading back out onto the island after you’ve dropped off any extra things you were carrying. Maximize your time in port! 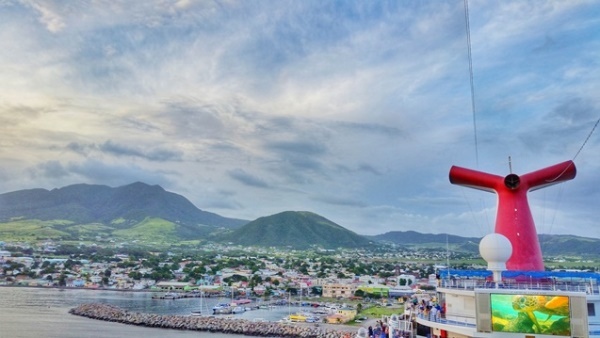 It’s not every day that you’re on a cruise to St. Kitts! 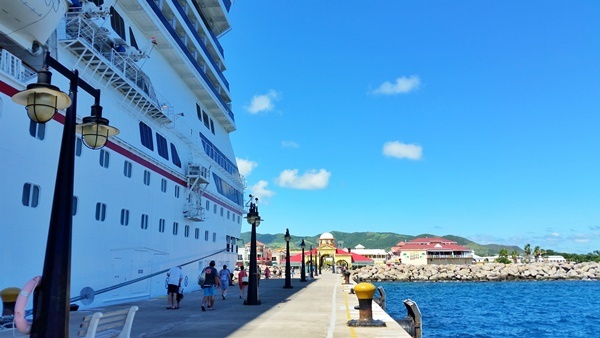 If you splurged on shore excursions at another port during your Caribbean cruise and want to take it easy in St. Kitts, this walk can give you a chance to do so. 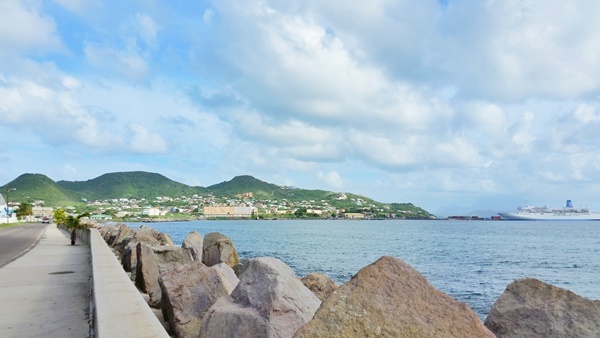 There’s a sidewalk along the coast of St. Kitts near the cruise port that you can follow that will give you a nice walk with that laid back Caribbean vibe. You’ll just feel it! 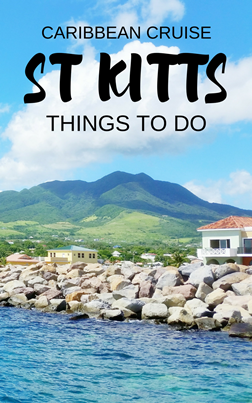 Things to maybe pack for your cruise to St. Kitts! 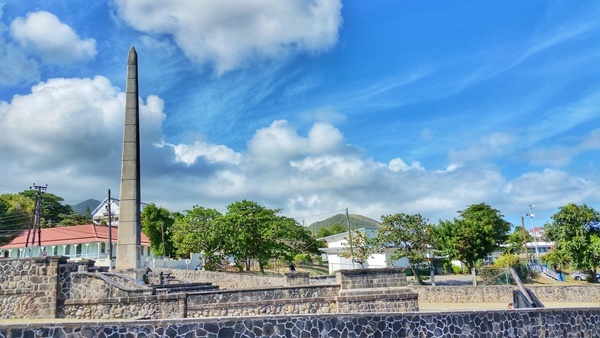 And see if you like any of these top tours in St. Kitts!